The Congress of Guerrero has exhorted the 81 city councils in the state to apply actions, programs and proposals to create a culture of peace and non-violence in their territories, in order to reduce the high rates of crime. 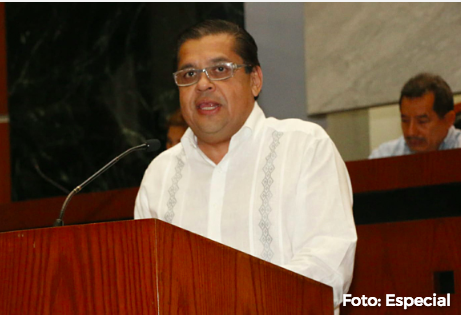 According to the Congress bulletin, when reading the proposal of the MC Parliamentary Group, the deputy Julio César Bernal Reséndiz highlighted that 2017 was one of the most violent in recent years, which makes it imperative that the three levels of government implement such actions. He said that although municipal councils lack the infrastructure, budget and financing to contain violence in their municipalities, they do have channels for administrative, management and social participation that can hellp create a climate of peace in their territories. Some of the actions and programs that are proposed include: create public policies of the municipalities that promote a culture of peace and nonviolence; disseminate through the municipal media the activities of local groups and the preparation of an annual program of awareness-raising activities to promote the values ​​of a culture of peace and non-violence; and make available publications on peace issues for libraries and municipal documentation centers. Also, they should promote education for peace in schools, offering resources for students and facilitating specific training in peace and human rights for teachers, and budget an economic contribution for programs, projects and activities that promote the culture of peace organized by civil society. Bernal Reséndiz emphasized that if each and every one of the aforementioned actions is carried out in the municipalities that make up the state of Guerrero, awareness will be created among the inhabitants to achieve peace and social harmony.